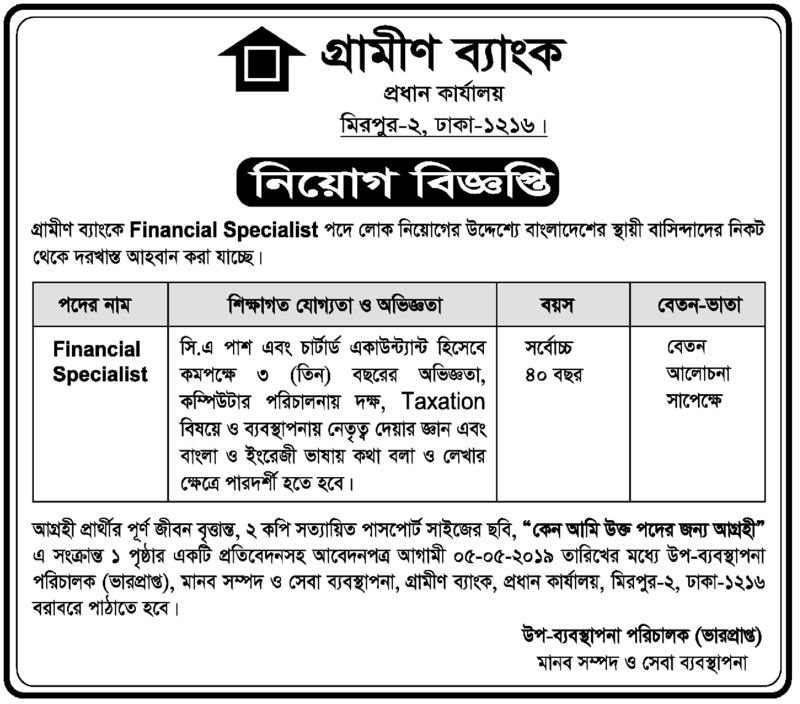 Grameen Bank Job Circular 2019 Has been Published. Thank you for your interest in employment with the Grameen Bank Job Circular in Bangladesh. We sure that you will find the better information provided below. Grameen Bank has circulated job circular in recent times.This is your chance to share your story and connect with job field in our country. >As a hoping for a job, you’ll represent your skill and qualification. Please note that resumes/cv send only not direct interview or other communication. Professor Muhammad Yunus, the founder of “Grameen Bank” reasoned that if financial resources can be made available to the poor people on terms and conditions that are appropriate and reasonable, “these millions of small people with their millions of small pursuits can add up to create the biggest development wonder. Everybody, want to build their career,in this case they can to apply to get this job.Grameen Bank offer people for exciting career opportunities. Educational qualifications are too much important for this job If you want to apply for this job, you should submit your application within short time. Grameen Bank job circular 2019 has been converted to an image file,so that people can easily read and download this job circular.Grameen Bank job circular has been given below.